from HELIX ASPERSA and active ingredients (Coralline, Luminescine) helping to protect the skin and support its normal function. 100% BIO snail roe lyophilizate, from HELIX ASPERSA. Any skin type requiring stimulation and a quick tension improvement, after aesthetic medicine treatments or as an e ective anti-aging prophylaxis. Prepare the mask and apply it with a brush on the skin of face and neck, also in eye area. Application according to speci c treatment procedure. 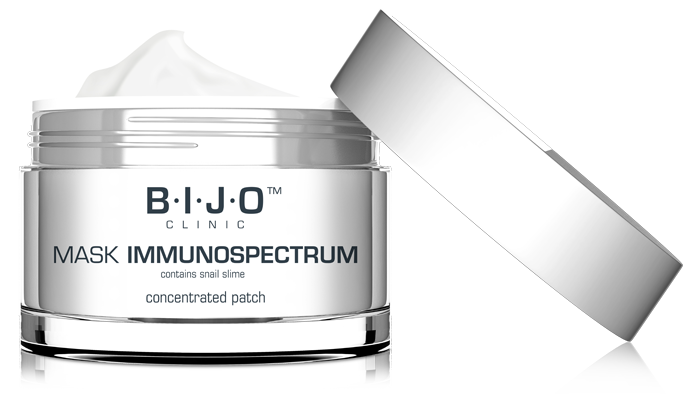 After the certain time is reached, use a BIJO CLINIC product. 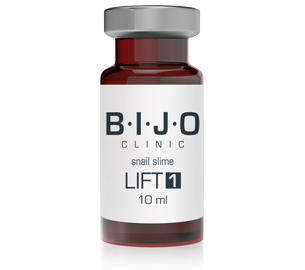 High dose of snail slime, coralline, Camellia japonica, vitamin E, allantoin, panthenol. the skin against harmful environmental factors. 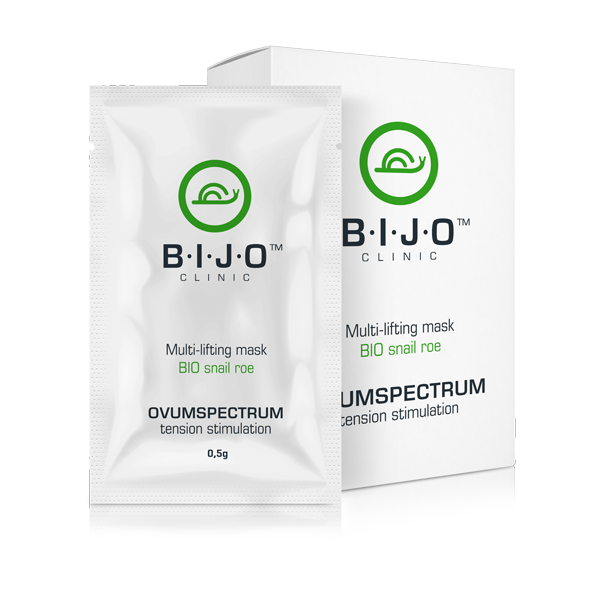 do not rinse the skin to achieve the intensive regenerating and protecting effect of the mask! Aqua, Glycerin, Caprylic/Capric Triglyceride, Prunus Amygdalus Dulcis (Sweet Almond) Oil, Isopropyl Palmitate, Diisostearoyl Polyglyceryl-3 Dimer Dilinoleate, Squalane, Camellia Japonica Seed Oil, Isostearyl Isostearate, Magnesium Sulfate, Butylene Glycol, Beeswax, Corallina Officinalis Extract, Lyophilised Snail Slime, Hydrogenated Castor Oil, Panthenol, Phenoxyethanol, Tocopherol, Helianthus Annuus (Sunflower) Seed Oil, Allantoin Lecithin, Ethylhexylglycerin, Rosmarinus Officinalis Leaf Extract, Sodium Phytate. 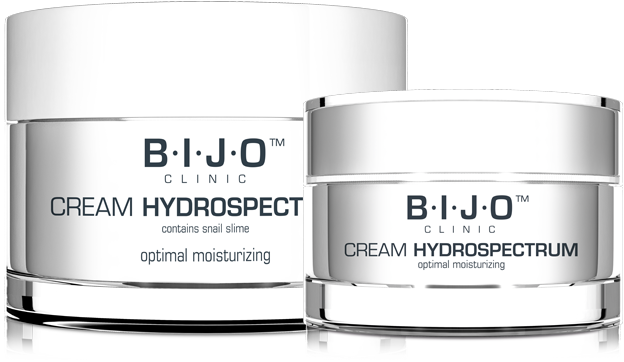 High dose of snail slime, glycosaminoglycans (GAG), hyaluronic acid. 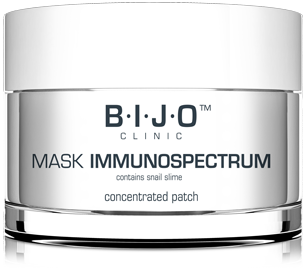 to complete the treatment with BIJO IMMUNOSPECTRUM mask. Snail slime, vegetable proteolytic enzymes, betaine, biologically active vitamin C, BIO grapefruit juice. 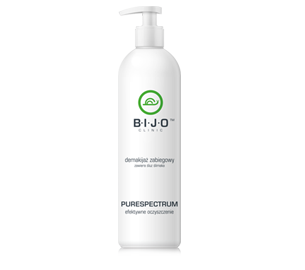 Any skin type requiring cleansing and oxygenation. Application time in aqueous environment: 3- 5 minutes, depending on skin sensitivity. Observation of skin reaction is required. Rinse o after reaching the application time. 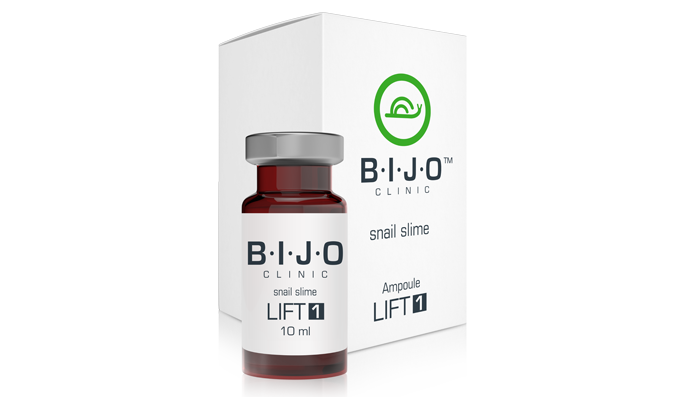 High dose of snail slime, glycosaminoglycans (GAG), hyaluronic acid, L-arginine. 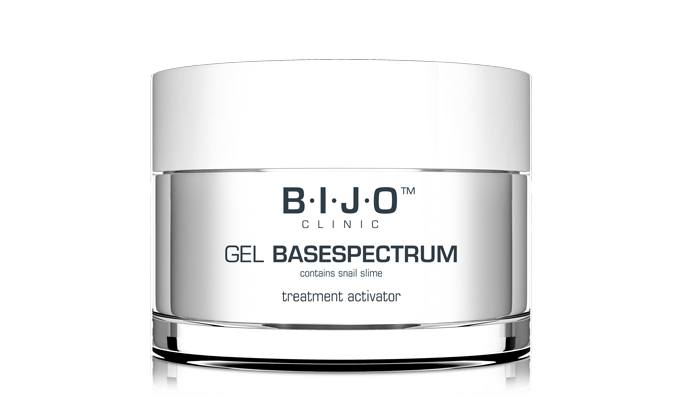 on a gel base (RF, electrostimulation, ultrasound and other), or as a separate product for manual massage. Snail slime, luminescine, jojoba, vitamin E, Camellia japonica. Restores natural moisturizing factor, inhibits skin ageing, smoothes wrinkles, improves skin firmness, protects against oxidative stress, initiates skin renewal after exposure to UVA and UVB light, balances skin tone, improves skin luminosity, effective sun protection. skin with hyperpigmentation caused by various factors. and pat gently. Perfect base for make-up. Snail slime, coralline, vitamin E, Camellia japonica, almond oil. 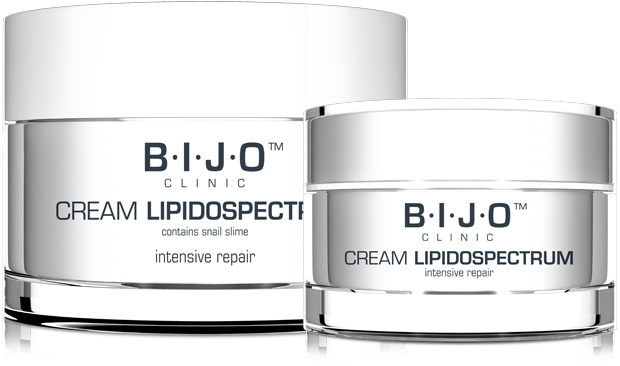 Optimally supplements lipids, improves the natural protective barrier of the skin, clearly reduces wrinkles, improves the firmness and vitality of the skin, protects cells against ageing, regulates skin hydration, balances skin tone. Make-up removing for every face, neck and neckline skin type, especially before any kind of cosmetic and aesthetic treatments. Soap free. Apply the product on the skin with damp hands, then rinse accurately. Aqua, Hamamelis Virginia Leaf Water, Maltooligosyl Glucoside/Hydrogenated Starch Hydrolysate, Glycerin, Salvia O cinalis Extract, Snail Slime Lyophilized, Xanthan Gum, Carrageenan, Caprylyl/Capryl Glucoside, Sodium Cocoyl Glutamate, Benzyl Alcohol, Polyglyceryl-5 Oleate, Glyceryl Caprylate, Dehydroacetic Acid, Citric Acid, Sodium Phytate. Snail slime, panthenol, hyaluronic acid. Every skin type with signs of in ammation, especially after cosmetic or aesthetic treatments. It can be used also as a separate mask with immediate soothing effect, or for at home skin care to support the healing of hypersensitive skin. 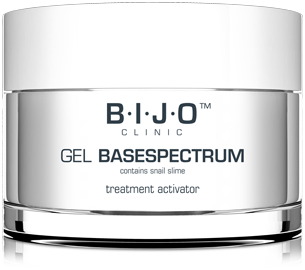 Apply the gel on cleansed skin after the treatment. Do not rinse. It can be used on whole body. 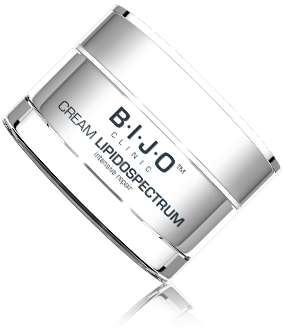 After absorption, it is recommended to use the BIJO cream, suitable for specifc skin type. Snail slime, green clay, anti-acne herbal complex. Dedicated for acne-prone skin care, especially after medical treatments (including antibiotics) or chemical peeling, skin with scars, mixed skin, oily skin and contaminated skin, requiring a detox. Apply the cream on clean and dry skin of face, tap it gently. 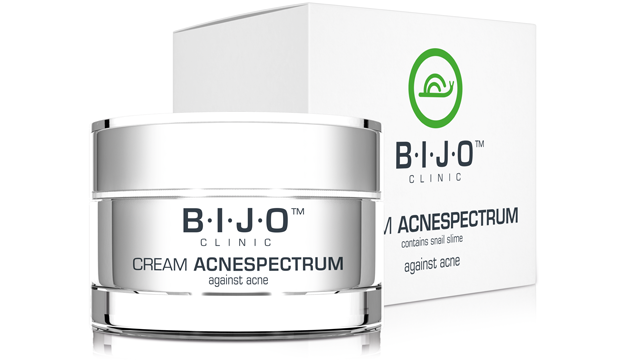 Use the cream also on other areas of skin covered with acne. High dose of snail roe, jojoba, avocado oil, camelia japonica, wheat germ oil, draining complex. Dedicated for eye and lip area sensitive skin care, with immediate revitalization and regeneration, as well as an effective anti-aging preventing treatment for every skin type. 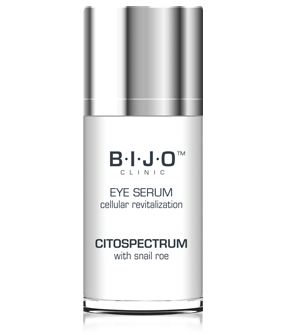 Apply the serum on clean and dry skin around eyes and lips, tap it gently. Use every day and whenever the skin requires. 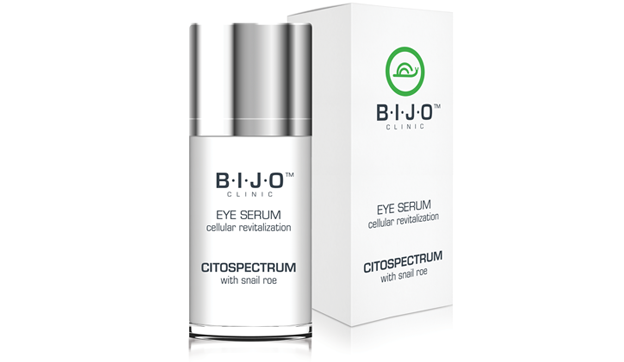 High dose of snail slime, high dose of snail roe, jojoba, abyssinian oil, camelia japonica, vitamin E.
Dedicated for skin with signs of aging and deep dehydration, accid, atrophic, requiring quick renewal, as well as an S.O.S. 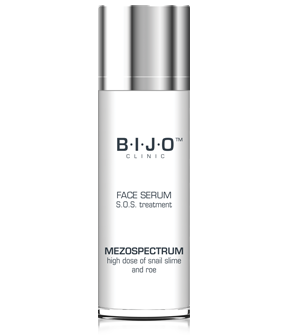 treatment for skin after intensive beauty treatments. 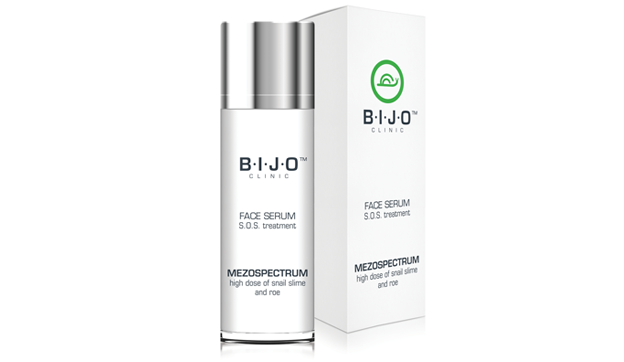 Apply the serum on clean and dry skin of face, neck and decolletage, tap it gently. 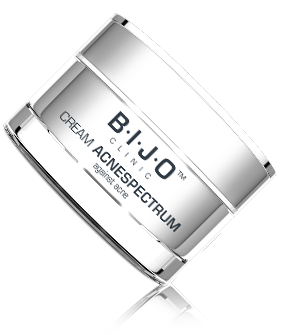 Perfect under BIJO face cream or as a separate product. Aqua, Crambe Abyssinica Seed Oil, Glycerin, Cetyl Alcohol, Polyglyceryl-6 Distearate, Camellia Japonica Seed Oil, Simmondsia Chinensis (Jojoba) Seed Oil, Glyceryl Stearate, Microcrystallien Cellulose, Benzyl Alcohol, Cellulose Gum, Jojoba Esters, Snail Slime Lyophilized, BIO Snail Egg Lyophilized, Xanthan Gum, Polyglyceryl –3 Beeswax, Tocopherol,Dehydroacetic Acid,Helianthus Annuus (Sunflower) Seed Oil, Sodium Phytate. it to the source of glow that naturally radiates from the skin. 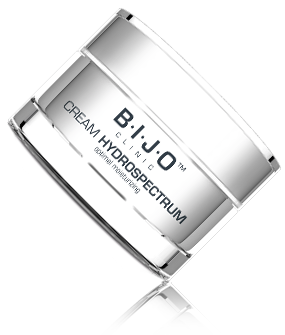 of the skin; has strong antiwrinkle and lifting properties, reduces hyperpigmentation.